Instagram is a popular social media platform for teens to share photos and videos. People can post things like selfies, memes, and anything else they enjoy, all while allowing others to leave comments. Instagram is a great way to keep in touch, but it also presents plenty of opportunity for cyberbullying and inappropriate behavior. So, is Instagram safe for kids? Who are your kids following? First, find out who your kids are following. Today, there’s no shortage of viral YouTubers, Instagrammers, and Snapchatters. Unfortunately, some of these internet celebrities create content that is inappropriate. And despite Instagram’s safety features and community guidelines, many people get away with posting explicit photos by simply putting a “sticker” on the photo. Check your kid’s list of people they are following and go over with them who is an appropriate person to keep following and who they should unfollow. Instagram does have some in-app controls, like putting together a list of banned words. The list of banned words will prevent posts with those words in the comments from appearing in your kid’s feed and also prevent them from using the banned words. Consider creating a list of words together that your child will ban on Instagram. The banned words can also become part of your technology contract with your child. Creating a list with your child helps maintain open and honest communication about technology. It can also lead to some enlightening discussions about how to be a responsible digital citizen. Online safety challenges arise as teens learn how to use Instagram and other apps responsibly. It’s essential to keep in mind that the frontal lobe – the impulse control and decision-making part of teens’ brains – are not fully developed until their early 20’s. Kids do not always understand the permanent and future consequences of today’s actions. This means that kids today often deal with online issues like cyberbullying and viewing inappropriate content. It’s important we have multiple conversations with our kids about online safety and go over the safety features of each app they use. Instagram now incorporates “stories,” which gives users the ability to send disappearing photos and videos, a feature inspired by Snapchat. This functionality is found in the Direct Message section. You can send a disappearing photo or video either as a group or an individual message. After someone opens a disappearing photo or video you’ve sent them, the message is no longer visible in their inbox unless you’ve allowed a replay of your message. To see messages sent with Instagram Direct, tap the paper airplane icon in the top right of your feed. From there, you can manage the messages that have been sent and received. Finsta is slang term for a fake Instagram account. Teens and tweens started making these accounts after older generations (and parents) joined their favorite social media platform. Finstas have become a perfect venue for cyberbullying. They allow a person to hide their identity, as tracing an account back to its creator is very difficult without some serious sleuthing. Using Finstas therefore give the perception of no accountability for one’s actions. A private account enables users to select who can access and follow what they post. Public accounts can be seen and followed by anyone, approved or not. Tap your child’s profile picture in the bottom right corner. At the top right of the screen, tap “…”. A screen will slide open to the left. At the bottom, click Settings. Scroll down and tap Account Privacy. Tap to toggle and enable Private Account. Tap the offending user’s username or profile photo. This will take you to their profile. Tap the “…” in the top right corner. Tap “…” in the top right corner of the offending user profile or specific post. Or, if it’s a comment, swipe left on the comment itself and tap the exclamation mark. If it’s a message, tap and hold on the message and then tap Report. Tap “…” above your post. Select Turn Off Commenting or Turn On Commenting. You can also turn off commenting for a post before you share it. On the screen where you add a caption or location to your post, tap Advanced Settings, then tap Turn Off Commenting. Cyberbullying is a problem on Instagram, and it’s one that continues to grow. More and more kids report being cyberbullied every single day. It’s up to us, as engaged parents, to talk to our kids about cyberbullying and the apps they use. 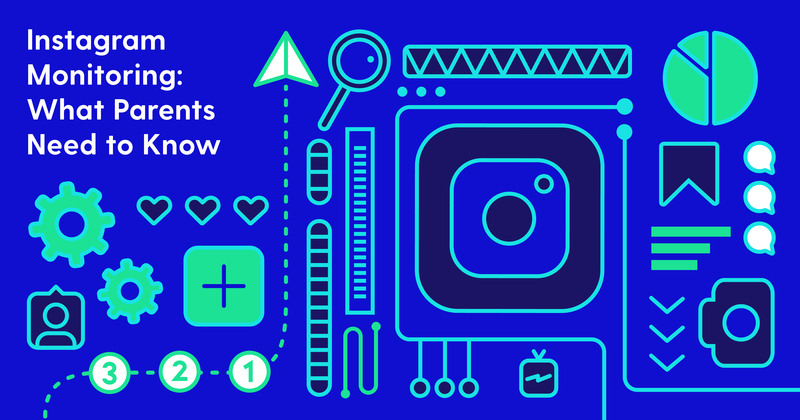 Use Bark monitoring on your tween and teens’ Instagram accounts. Bark monitors the images, videos, and comments that your child posts. We send alerts only on potential issues like cyberbullying, sexting, and online predators.